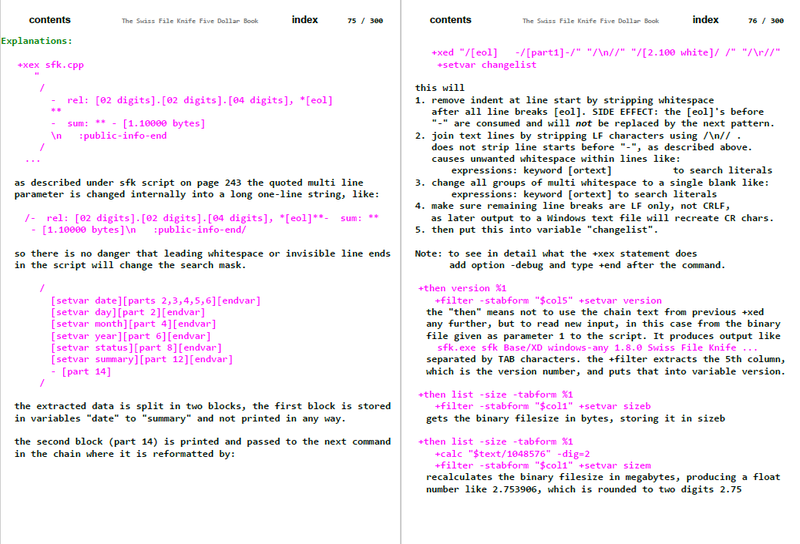 The whole syntax. 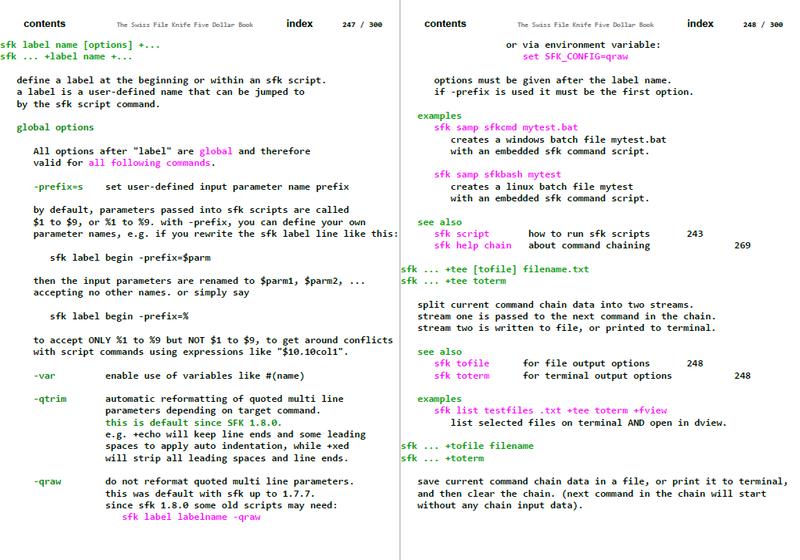 All commands in a colored 300 page PDF document, with a large font and no side borders, for large text display. Allows zoomless reading on your Smartphone, 2-page side by side reading on your tablet, or optimized printing with 2 pages per paper sheet. Describes both the features of SFK Base and XE. 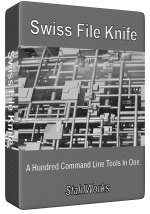 Contains a 60 page tutorial, introducing the most important SFK functions step by step, including 25 pages of detailed xed examples with input, command and output, a 200 page command reference, and a 7 page alphabetical index. Covers the latest SFK version 1.9.4. Will it work with your reader device? Try the 20 page Demo PDF here. The page numbers in the text are links that jump to a page when touched on. 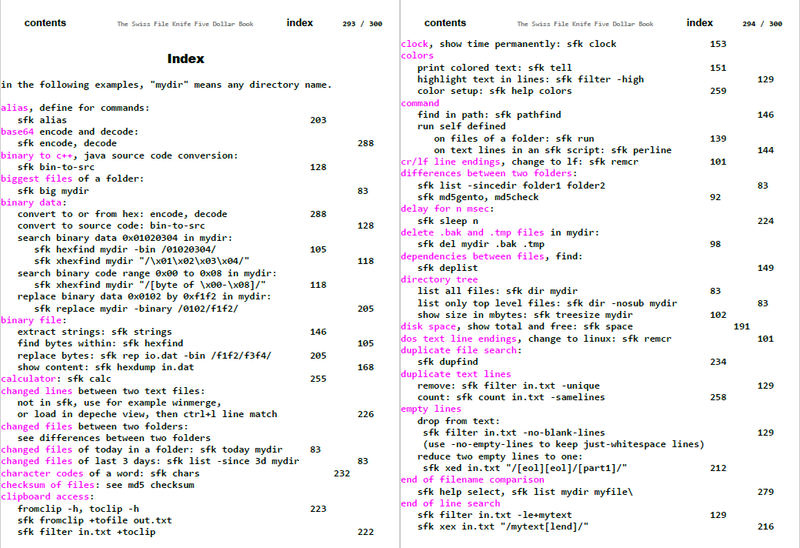 On every page you may touch on contents at the left top to jump back to the index. This was tested with Adobe Reader for Android, it does not work with Windows Phone. Index cannot be used as it is outside the demo, view the first pages here. and a confirmation E-Mail from stahlworks.com with the same link.